An invalid licence giving full rights. This is how GOB believes the licence should be considered. It is the one that the Es Migjorn Town Council gave for installing piped gas, despite the technical reports and the fact that it was illegal. So, now a written request to make an official revision of this licence has been submitted. GOB has always been against the implementation of gas piped to houses before renewable energies arrive. A resolution of the Balearic Government, signed two months before the 2015 elections, awarded Gas Natural (the company has now changed its name to Nedgia) the contract for piped gas in Menorca. More than 500 kilometres of ditches were forecast to be dug along the roads of all the towns on the island for piping fossil fuel energy that generates no appreciable saving in contaminating emissions. On the contrary, it would create a large amount of work which would have to be amortized long before being able to use much cleaner energies. For these reasons, a file was made up and has been presented to court with pleas on various formalities. As a minimum, still missing are the administrative authorisation, the environmental authorisation and the declaration of general benefit. But, the fact is, that before the availability of the pertinent authorisations, pipes for gas were already being installed in some towns and this is what prompted the consultation of documentation in the Town Halls. The paradigm for this fait accompli is seen in Es Migjorn Town Council. Here a construction company, that had nothing to do with the gas works, obtained a licence containing technical and legal reports which did not give approval for their work. Now, at the end of some weeks, the company installing gas was awarded a licence. A procedure that GOB considers illegitimate. In the arguments put forward in the submitted file, is a reminder that it is not possible to give a licence before a company receives authorisation. Also, it reminds that the state regulations require that they are covered by territorial planning and, if they occur in urban areas, or areas where urbanisation can take place, they are part of town planning procedures. Es Migjorn does not have any such planning. Finally, it must be remembered that the licence was discussed in the Commission of Revenue and Territory, where it was approved by the Mayor and two Councillors of PP, though opposed by three votes from the Socialist opposition, so the qualifying vote of the Mayor was used. Referring to this, it must also be clarified if one of the PP Councillors had any connection with the company that received the licence, because, if so, they should have abstained from voting. GOB has reviewed the licence conceded by the Mercadal Town Council and is preparing an appeal. 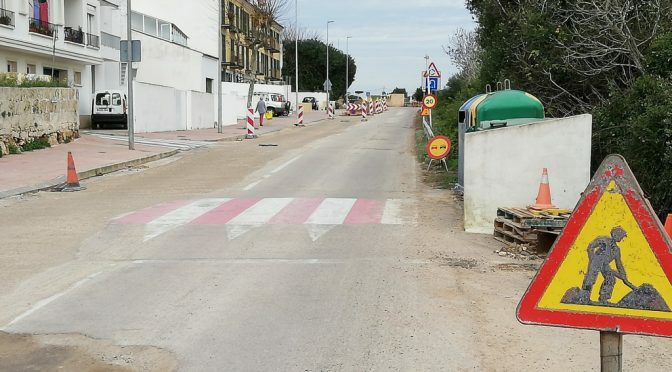 They have repeated their request to be able to consult the documentation of the Town Councils of Es Castell and Mahon who have not yet answered their first request.